This groundbreaking distillation of best practice effectively demystifies the English spelling systems. It organises the myriad spelling rules and conventions into clear categories and reduces them to a manageable size. Do you know why it matters when, what, why and how spelling is taught? Do you understand the significance of learning styles for spellers? What are the practical implications of spelling research for practitioners? Can you classify spelling errors and use them when planning IEPS? 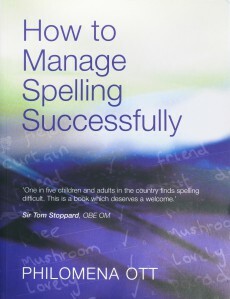 This book contains a comprehensive exploration of every aspect of spelling theory and the associated teaching methods. Day-to-day advice on how to help those with difficulties is underpinned by information on the development of the English language and its effect on the evolution of our spelling system. This groundbreaking distillation of best practice effectively demystifies the English spellling systems. It organises the myriad spelling rules and conventions into clear categories and reduces them to a manageable size. It is relevant to pupils across the age range, including adult learners, primary and secondary school teachers, teaching assistants, specialist teachers, SENCOs and tutors will all find this an indispensable resource.